Now let’s move on to a totally different topic. To an outsider at last year’s E3, it seemed as though Splatoon was already complete. It’s taken about ten months from then to get to where the game is now, but I think there were a lot of people who were dying to play the game after E3. What were you all doing for ten months? The game was only about 10% complete at E3. It was only 10% complete, or should we say, we still had about 90% left of the game to make. 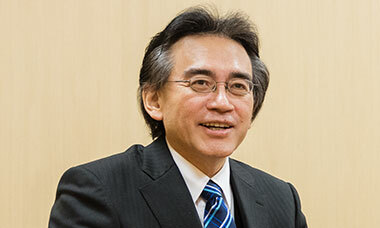 You had your strong idea, you had the firm basis for the game, and you already had something that was actually fun to play. But you’re saying it was still only 10% complete. Right. At E3, we only had one weapon. We only had one stage, and only a mock-up of the sequence14. So when we returned from E3, our big issue was figuring out how to turn all that into a product.14. Sequence: The order of things. In this case, it refers to the order in which the game progresses. At E3, we already had the heart of the game, which was “it’s fun to shoot ink”, and “it would be fun to turn that into a turf claiming game,” and we also had the play cycle of strategising. But it wasn’t something that would keep people playing yet. We decided we needed to add another larger cycle to this, so we made all sorts of things. For example, we’ve made a lot of weapons in these ten months. It’s no fun if there’s a weapon that always lets you win. Right. If this was just a one-player game, we could make an ultimate weapon that players would enjoy playing with, but since it’s a competitive online game, we took those ten months to adjust the overall game balance so each weapon had its pros and cons. We also took a lot of time to test out the stages, with help from the people at Mario Club15.15. 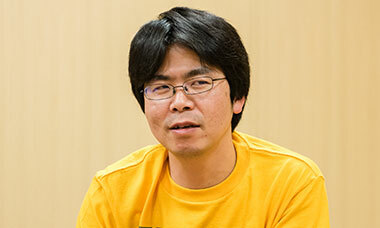 Mario Club Co., Ltd.: Debugs and tests Nintendo software which is under development. If a stage was unbalanced, and there was even a slight advantage in strength, it made for a big discrepancy between players, and ruined any chances to turn the battle around. And that’s not quite what you want for a competitive online game, is it? Right. We wanted players to feel like they couldn’t let their guard down until the bitter end, to give them a really exciting battle. So we spent a lot of time on that. And there’s a real sense of accomplishment when your strategy pays off. If you work hard on something and it doesn’t bring results, you get sick of it. You want that effort to be rewarded. Right. So we took a lot of care in making all of the stages and the weapons one by one, so we could make that happen. So each time we added a weapon, we needed to test it on the stage. So it was sort of like a maths problem. If we added a single weapon, it was not a simple addition as we had to adjust all sorts of other variables, like a maths problem, and we did that right up until the game was completed. 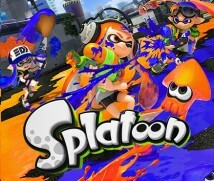 single-player mode called Octo Valley 16 for players who had never played competitive games before and were hesitant to start right off competing online. If you play in Octo Valley for a while, you’ll learn battle techniques.16. Octo Valley: A one-player shooting mode where you fight alone against the Octarians (the octopus army). Once a player has got the techniques down, they can start competing online, or switch back and forth between online and single-player mode. 1 vs. 1 offline mode 17, so people could invite friends over to play. We took our time over these ten months, putting a lot of care into every single thing, keeping in mind what we would need to do to make it a game that would reach both gamers and people who don’t play games. And I think that enabled us to make a game that offers both very fair competition and a very good single-player mode. 17. 1 vs. 1 offline mode: Battle Dojo. One player uses the TV screen, the other player uses the Wii U GamePad, and they compete by popping balloons on the stage. So we all worked hard for ten months to add depth to the game, but there was something we were worried about. Right. Because of how it looks, some people might think, “Does this game have any depth?” but they shouldn’t worry. The game gives a lot back to a player who wants to get invested in it. We’ve been playing and still haven’t got to the bottom of it. I just keep sinking deeper in, and I’ve still got a long way to go. So even the team that made it hasn’t got to the bottom of it. Right. For example, take the inking action. You spray it in a way that leaves areas un-inked, and you can’t spray it in the same way twice. Some people spray it wildly, some people are careful not to leave anywhere un-inked… what a player does really depends on their personality, which is fascinating. Some people pull a surprise attack on enemy turf, and some people work to steadily increase their foothold. It’s really interesting to see how people have different ways of playing. turn back and ink more. Right (laughs). Even if you’re the type of player who may not be the best in defeating your opponents, there are gameplay elements where you could contribute to your team. We’d like to have all kinds of people play using their own play style. 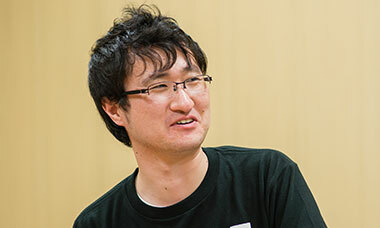 Amano-san and I both love online games, and we’re still playing it, saying to each other, “We made a really fun game, didn’t we?” The other staff members are also really into it. They keep saying, “Well, I guess I should go do some more debugging” (laughs). Some of our staff who had never played a multiplayer shooter before played with us, each playing with their own unique style.